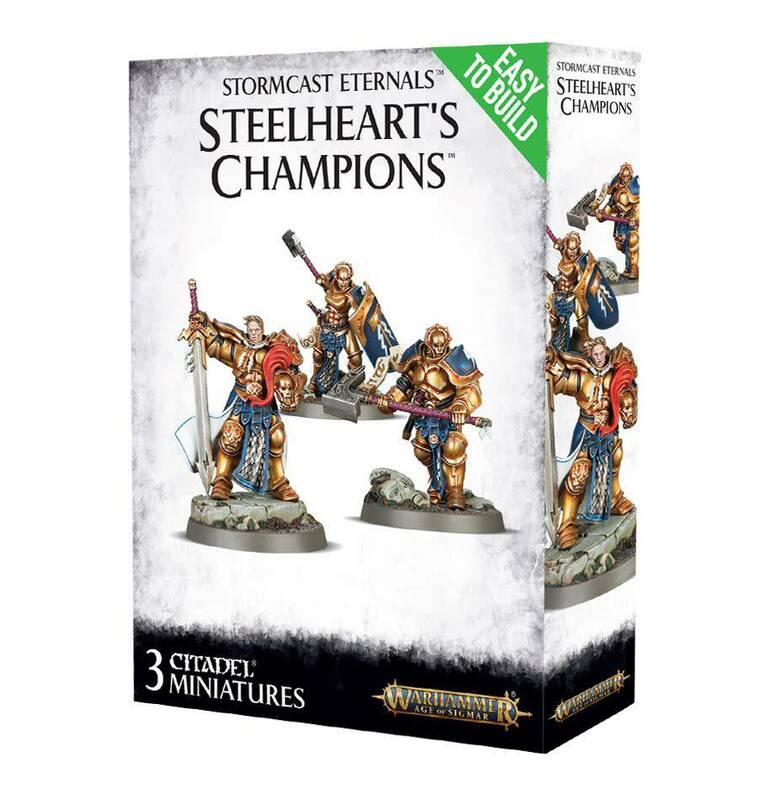 Designed to be as easy as possible to assemble for new hobbyists while being detailed enough for the hardiest veteran to appreciate, this is a set of 3 Easy To Build Stormcast Eternals. Push-fit, with no glue required, these are incredibly straightforward to put together. - Angharad Brightshield is armed with a warhammer and sigmarite shield. 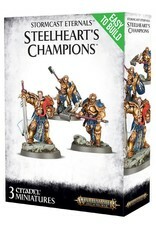 This kit comes as 17 push-fit components, and is supplied with 3 sculpted 40mm round bases and a Stormcast Eternals transfer sheet. A warscroll containing rules for fielding these miniatures as a unit in games of Warhammer Age of Sigmar is included.